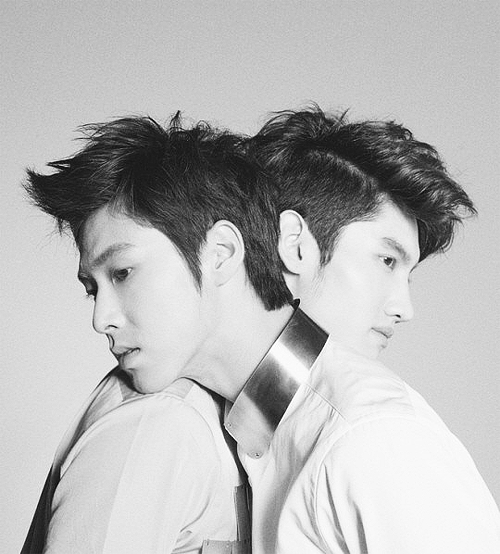 “So, tell me Hyung, why in the end we still end up being like this?” Changmin asks, turning his head to Yunho, who sits beside him in their dorm-kitchen floor. Yunho’s eyes blinks once. “Jaejoong…matters?” He says in a painful tone. Changmin sighs again. “I’m sick seeing you like this, Hyung. You looks so much older when you’re being like this. It’s been almost 3 years since our separation but all that you can do is pretending to the world that you’re absolutely fine when in reality you’re no more than a broken-hearted man that can not escape from his gloomy past,” he says it clearly, without a single hesitation. “Changmin-ah…” Yunho whispers, almost fail to hide his true feeling to his maknae. Changmin raises his hand, asking Yunho to not interrupt him. “Can you just stop pretending, Hyung?” He asks softer this time.